Most guests who travel to Walt Disney World do so with the intention of making magical and lasting memories on the many different attractions found in the four Disney Parks. When guests picture some of these attractions, immediately some of the classics like It’s A Small World, Peter Pan’s Flight, and Dumbo the Flying Elephant come to mind. While these attractions are more certainly classics and must dos while in the parks, there are other attractions that are considered to be incredibly popular thanks to their theme, technology, storyline, and more. 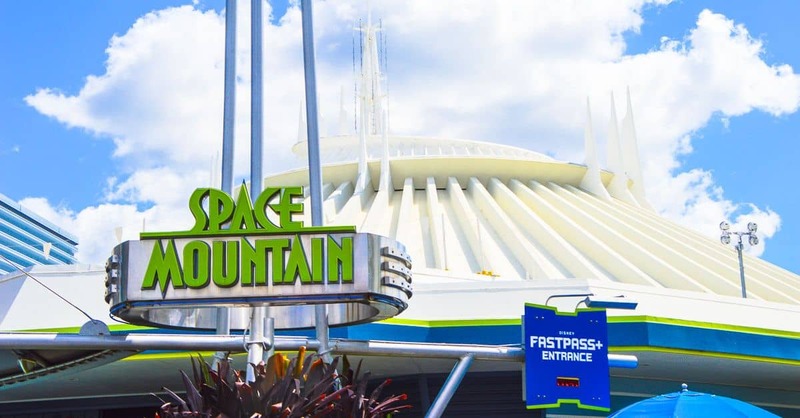 These headline attractions can be found in all four of the Disney Parks and they often have lengthy wait times due to their popularity making them all great candidates for FastPasses. From big thrills to amazing technology, these attractions can’t be missed. Here are the ten biggest headline attractions in Walt Disney World. Tomorrowland in the Magic Kingdom is home to several popular attractions including one that gives guests the opportunity to rocket through the thrilling darkness of space. Space Mountain is centered around Starport 75, an intergalactic space port where guests can travel to all corners of the galaxy. After boarding their rockets, guests launch into space past a control center and astronauts before plunging into the dark skies and twisting, turning, and dropping in a true adventure. Another popular attraction in the Magic Kingdom that often features some of the longest wait times in the park can be found in the heart of Fantasyland. The Seven Dwarfs Mine Train has guests board innovative mine trains that sway from side to side with each turn. After a brief tour of the outside of the mines, guests find themselves in the middle of the workplace of the Dwarfs where a million diamonds are shining and the work day is coming to a close. With amazing audio-animatronics and thrills for the whole family, the Seven Dwarfs Mine Train is a must do attraction. Frontierland in the Magic Kingdom is home to another thrilling attraction that also garners a lot of popularity thanks to the typical high heat in Orlando. Splash Mountain has guests board logs and set off for adventure alongside Br’er Rabbit. With many audio-animatronics, catchy music, and several drops along the way, guests can enjoy the anticipation building until finally Br’er Rabbit is captured by Br’er Fox and flung into the Briar Patch below. With a fifty foot drop at a steep angle, guests are sure to love the thrill and soaking adventure of Splash Mountain! Epcot’s Future World is home to the perfect combination of classic attractions for the whole family and big thrills for the adventure seekers. Future World East is home to Test Track Presented by Chevrolet where guests can step into the design studio and create every aspect of their very own SIM car. Just before boarding, guests link their SIM car and then experience firsthand how their designs hold up on the track. 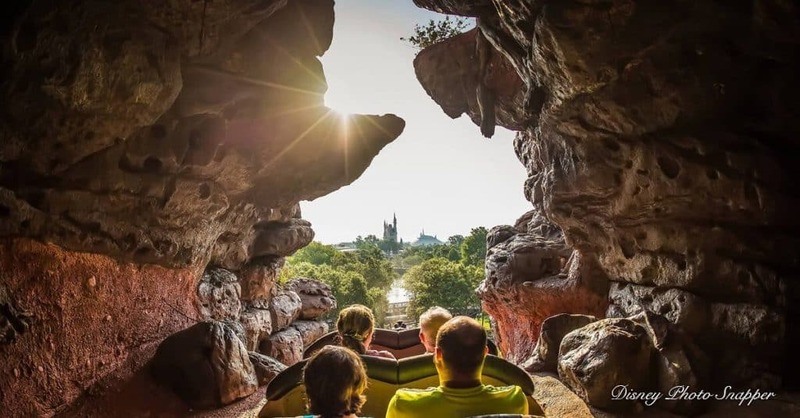 The exciting experience culminates with a sixty five mile per hour joyride on an outdoor portion of track making it a headline attraction in Epcot for sure. World Showcase in Epcot is home to eleven different pavilions that each bring a country from around the world to life including Norway. There guests can enjoy the headline attraction Frozen Ever After which was inspired by the mega popular film Frozen. 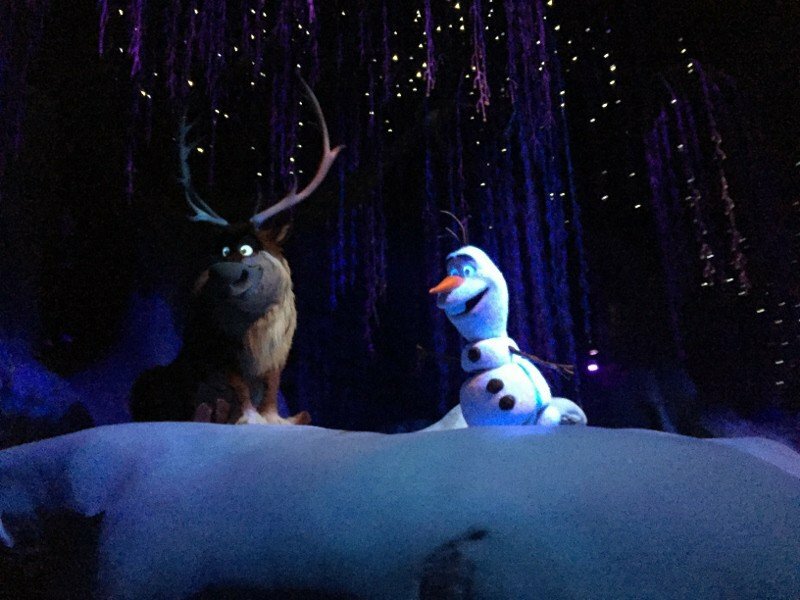 Guests board boats and set sail for the kingdom of Arendelle where they find themselves face to face with beloved characters like Olaf, Elsa, Anna, Kristoff, and Sven. The final headline attraction in Epcot can be found in Future World West in The Land Pavilion. Soarin’ Around the World brings guests on flight 5505 and uses some ingenious technology to make them feel as though they are hang gliding amongst the clouds. With their feet dangling, guests can soar above locations like Iguazu Falls, Mount Kilimanjaro, the Great Wall of China, Sydney Harbor, Monument Valley, the Eiffel Tower, and even Epcot before a show stopping finale. Disney’s Hollywood Studios is home to some of the most thrilling attractions in Walt Disney World which in turn makes them some of the most popular. 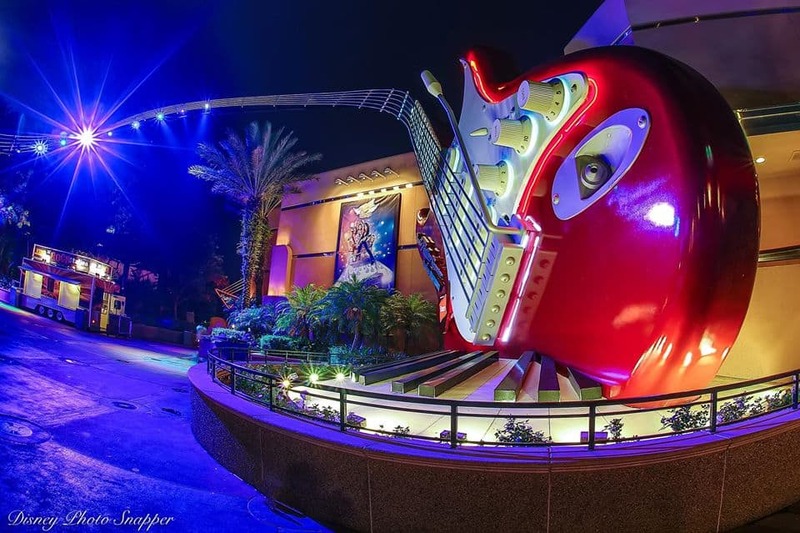 The Rock ‘n’ Roller Coaster Starring Aerosmith can be found at the end of Sunset Boulevard and is the only attraction on property that goes upside down. Guests run into the band and are invited to a concert across town and soon find themselves strapped into stretch limos and flying through traffic at high speeds. The newest area of Disney’s Hollywood Studios is Toy Story Land located just to the side of where Pixar Place used to be. While there are several attractions in the area, the most popular is Slinky Dog Dash. This family friendly roller coaster features moderate speeds, dips and turns, and some fun surprises along the way. 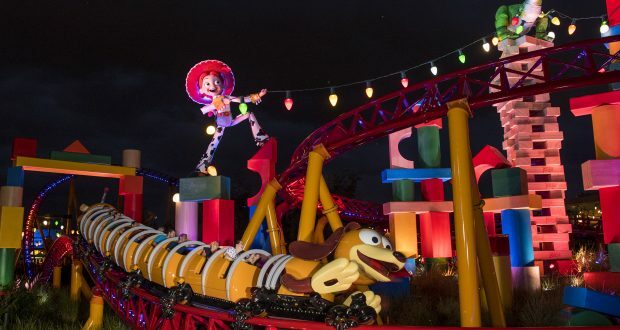 With an elevated track and lots of fun props and toys to look at along the way, Slinky Dog Dash is sure to be a headlining attraction in the park for years to come. The newest area of Disney’s Animal Kingdom is Pandora – The World of Avatar, a mythical land where the story and culture of the Na’vi is brought to life. 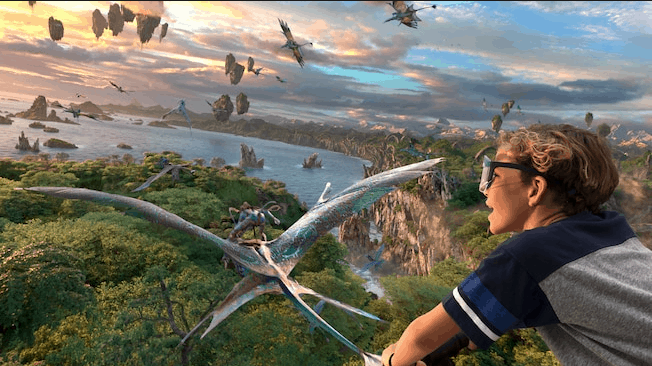 The most popular attraction in the area is Avatar Flight of Passage where guests are invited to link to a Na’vi and participate in an ancient rite of passage. Technology and special effects allow guests to transport to worlds away and soar on the back of a banshee over the beautiful world of Pandora. Also found in Pandora – The World of Avatar is a second attraction that is more family friendly and boats lengthy wait times as well. Na’vi River Journey has guests board small boats and set sail into the bioluminescent forests of Pandora. There they can encounter otherworldly creatures and living things before slowly noticing more and more Na’vi singing and heading in the same direction. As the boat follow them, guests soon come face to face with the Shaman of Songs who is one of the most advanced audio-animatronics ever made.